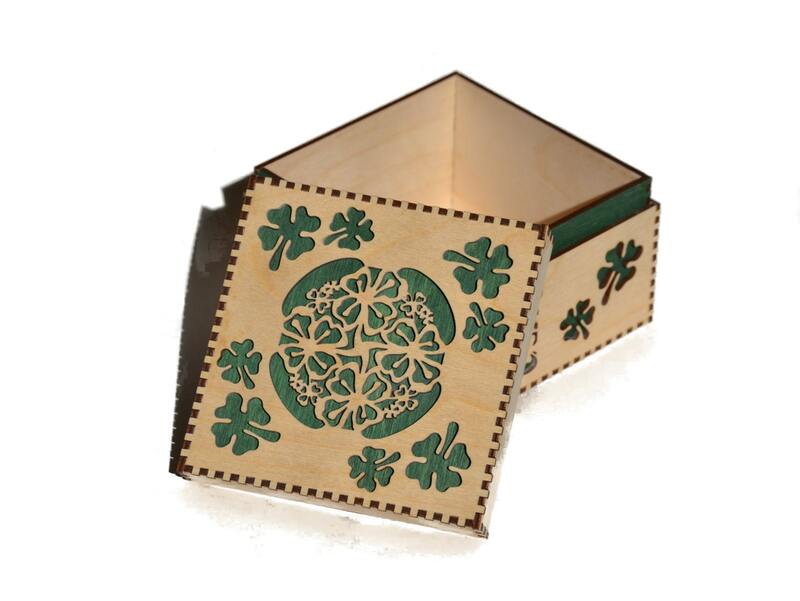 This box has a shamrock design cut into its top and sides that reveal green stained wood below. 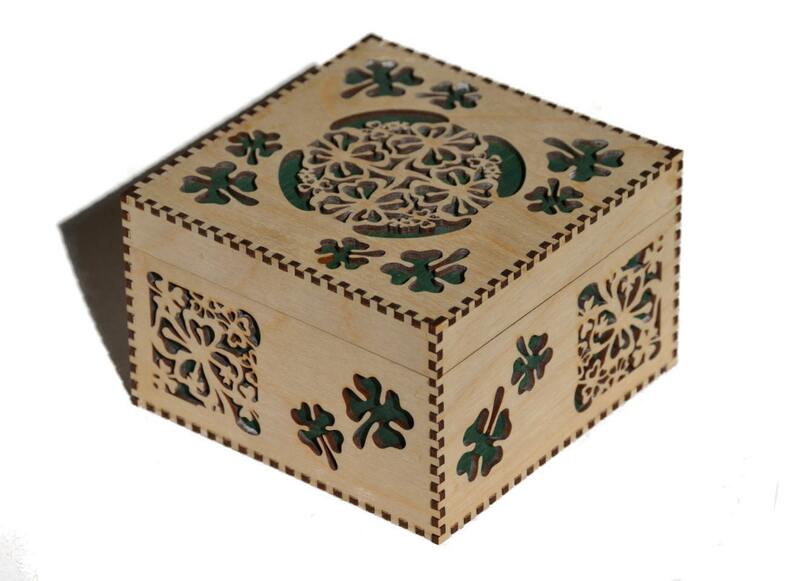 The box is made of Baltic birch plywood, laser cut and hand assembled. Measures 4 7/8" (12.4 cm) wide x 4 7/8" (12.4 cm) deep x 3 1/8" (7.9 cm) tall. Wood grain and color may very slightly from photo. We offer two color variations, a traditional emerald green and a light wasabi color.